We pick up, store, and deliver your stuff––all for less than what West Loop self-storage companies charge. Your friends swear by self-storage in West Loop, but you’re not quite convinced. Sure, you need more storage space for all your stuff. But you’re not excited to devote an entire afternoon to packing. And another entire afternoon to driving everything to a self-storage unit. And a significant portion of your paycheck to pay for a moving truck, boxes, and a tank of gas the truck will inevitably eat up. There’s a better storage solution in West Loop. It's name: MakeSpace. Simply schedule a MakeSpace pickup, pack your stuff, and leave the rest to us. We’ll come to your home or business, load your stuff into our truck, and transport everything to our secure, temperature-controlled storage facility. We’ll even create an online photo catalog of of your stuff so you never forget what you have in storage. But wait. That’s not all. 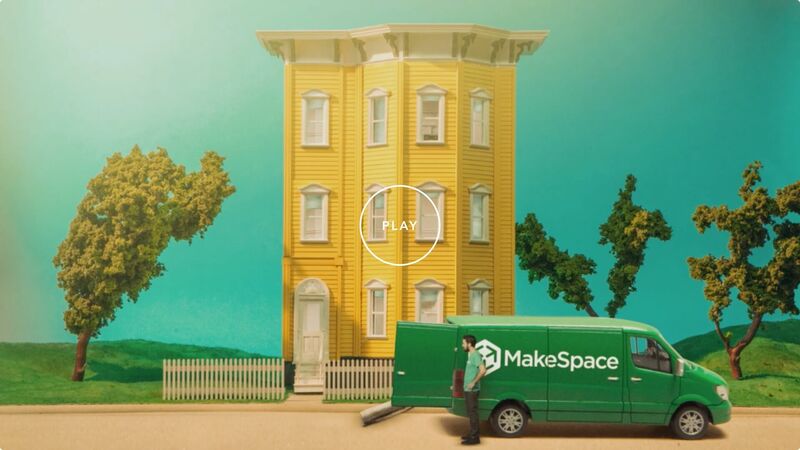 Whenever you need something back from storage, you can just log into your MakeSpace account, click the item's photo, and we’ll bring it right to your door. That's right, MakeSpace does all the heavy lifting for you. Which means you'll have more free time and money to do whatever you want, like enjoy your weekends to the fullest instead of wasting them at a boring self-storage unit.